Hawk on a light pole? Could be a Red-tail! 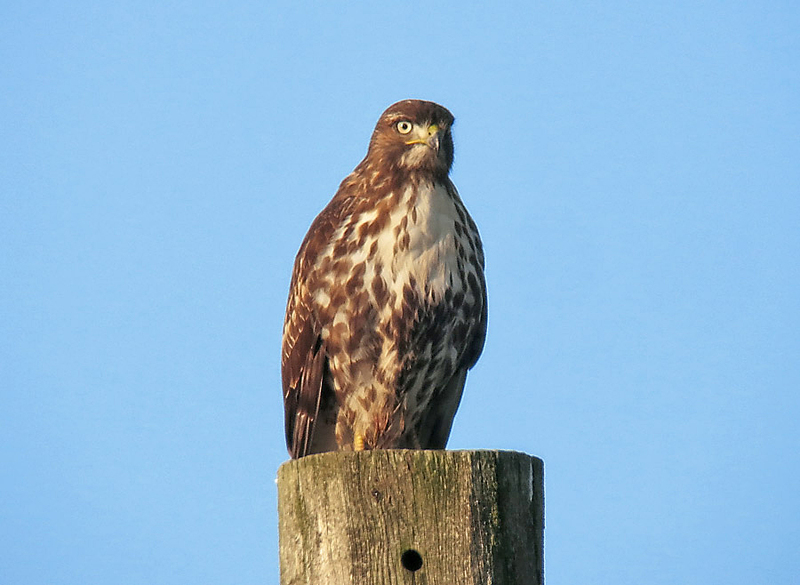 Driving the freeway or a narrow country road, you may glance up at a light pole where a large hawk sits in plain view. 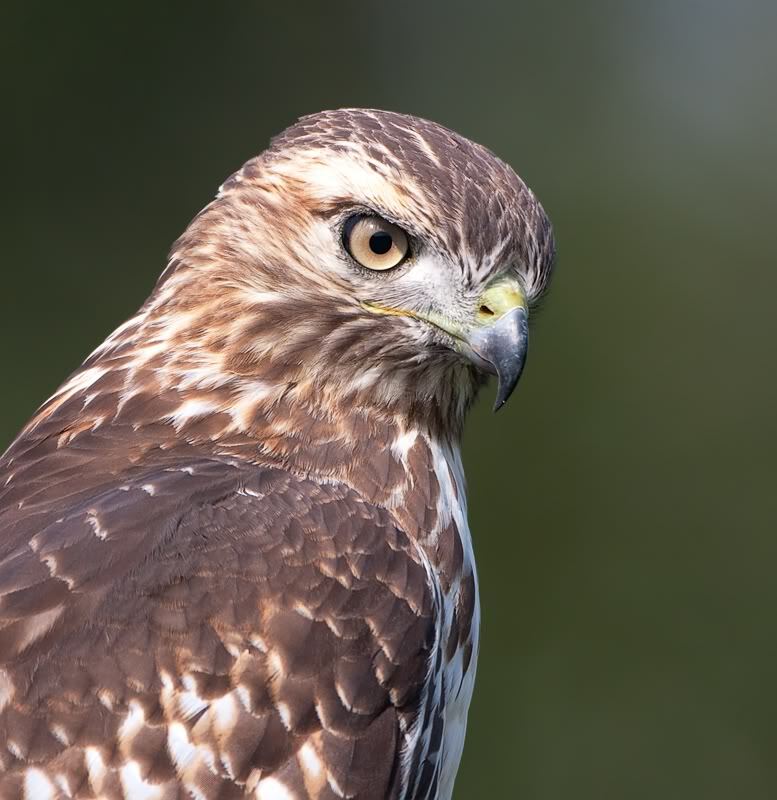 If it's brown and somewhat mottled, and its small head and short tail make it appear football-shaped, it's probably a Red-tailed Hawk. 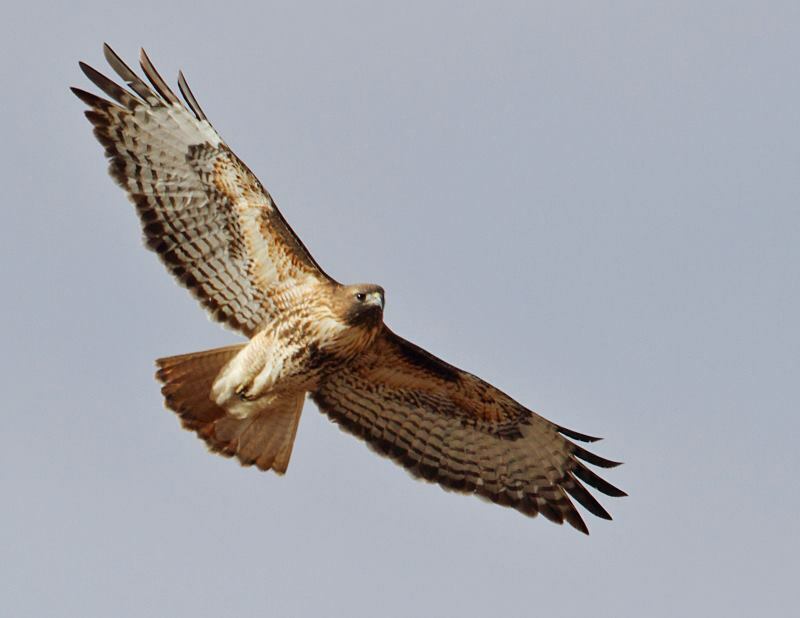 During winter, many Red-tailed Hawks move south, joining year-round residents. Did you know you can get BirdNote as a daily podcast? 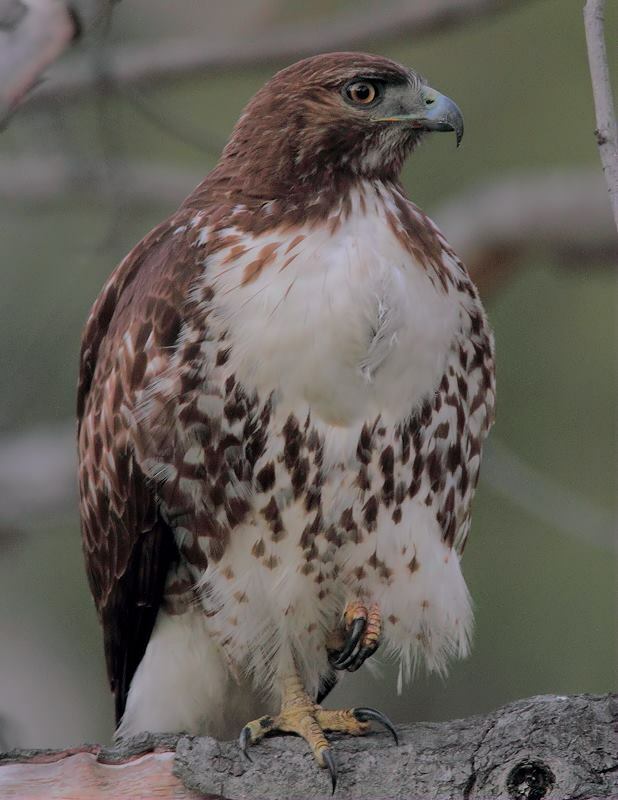 During winter, many Red-tailed Hawks move south, joining year-round resident pairs, to feed on mice, voles, and other small mammals. 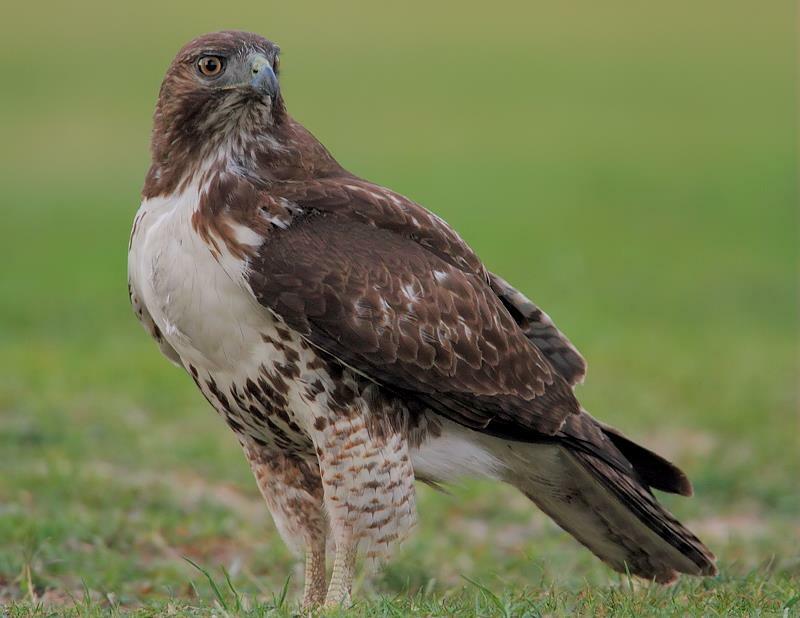 The freeway’s wide center medians and mowed shoulders offer a mini-habitat of open grassland where Red-tailed Hawks watch for prey. And the light posts, telephone poles, and nearby trees offer excellent viewing perches.